Social change is currently a very crowded space. David Jack, CEO of Social Impact Institute, offers some things not for profits can consider when planning for growth. How can not-for-profit organisations optimise their strategic planning for growth? The key is diversifying value. In 2019, Australian social change is a crowded space. Funding is no longer guaranteed by the government. Changemakers are expected to catch-up and keep up with the efficiencies and professionalism of the corporate world, while fulfilling their altruistic mission and serving their clients. 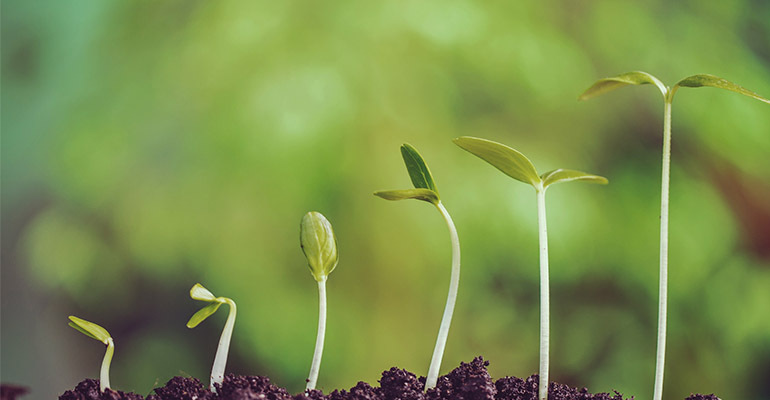 In this competitive space, here are some things to consider when planning for growth. Your growth strategy begins with having a clear picture of your long-term success. Be specific about what success looks like for your organisation and its people. Increasingly, not for profits are acknowledging impact as a focus for measuring success. From here it’s crucial you translate your vision into a written organisational strategy, clarifying long-term goals and desired impact and then setting out an actionable plan. Engaging all members of your team in developing your strategy democratises it. Documenting your strategy is then important. When your team can access and understand your transparent strategy, they can own it. A written, accessible strategy also places accountability on the organisation and its leaders to deliver. Spend time on your value proposition. Avoid the temptation to look only from your own internal perspective to define what distinguishes you, and instead ask what your donors, consumers, stakeholders or members value about your particular service or approach. It’s a simple but powerful shift in perspective many organisations fail to do in defining their value proposition. Any not-for-profit strategy in 2019 needs to pay particular attention to gaining insights that will inform your value proposition and strategic direction; include consumers in planning, and focus on your impact to measure success and report to stakeholders. Lack of a clear value proposition backed by a tangible plan, means you’ll likely lose momentum right at the moment you need it most. Don’t run the risk of either turning off your consumers and donors or losing out to a crowded field of competitors. An assertion that Australia has too many charities has been a subject of debate in recent times. There are 56,000 registered charities in Australia. The 2016 census of social enterprises in Australia estimated an additional 20,000 businesses were purpose-led and contributing to social change. So, do we have “too many” charities? The Australian Charities and Not-for-profits Commission (ACNC) says the answer is no. The ACNC also notes its concern that duplication of services needs to be kept under control by NFPs themselves. According to the ACNC, organisations “should regularly assess their efficiency and effectiveness, which may mean collaborating on projects or even merging with other charities to achieve better outcomes”. Mergers and partnerships are clearly top of mind within the sector. More than 50 per cent of NFP directors in 2018 had been involved in merger discussions, were currently involved in a merger, or had just completed a merger, according to the AICD NFP Governance and Performance Study. Partnership and collaboration are also being actively pursued or engaged in by many not for profits. The 2016 AICD NFP Governance and Performance Study found 70 per cent of those surveyed reported collaborating with others to advocate for the sector or beneficiaries, 43 per cent subcontracted some services, and 39 per cent had arrangements to refer or service clients. Competing for the sake of the battle is unjust, and doubling efforts in the same sector could well be fruitless. Have you taken a good look at your long-range plan and explored the possibility of a merger or partnership? Joining forces can be hugely rewarding, particularly to consumers who may benefit from a broader range of higher quality services. The original wheel was a great invention. But reimagining its potential led to greater innovations over time that took it from a clumsy contraption of convenience to propelling high-speed racing cars today. The same is true of your own organisation. You have a great core proposition. Now consider how you might evolve your founding idea to one day tackle different terrains than were ever first imagined. Start by focusing on how to provide value for your consumer. What emerging needs do they have? How are those needs being met today? What are creative ways you might be able to meet those needs better by building on your existing strengths and experience? By way of example, our client RSPCA Queensland developed digital Tap Tins to facilitate easier donations at retail locations. A cafe or retail customer simply taps their credit card on the machine to donate to a featured NFP campaign. Other charities can purchase time on the device, generating a whole new revenue stream for these charity partners as well as for RSPCA Queensland. Listen, ask, imagine, and create a plan to attract new revenue by diversifying your value and products, building on existing strengths. Once you’ve made the decision to diversify, make sure you have the right people in place. Prepare your team for any operational changes, add key talent if required and provide training where necessary. Re-configuring your business or charity may seem like a massive challenge in the here and now, but change is constant, and you need to be set for success in 10 years’ time. Identifying and acting now to diversify your value is key to thriving in the ever-evolving not-for-profit space. If you’d like to explore some of the ideas raised in this article, get in touch with the team at Social Impact Institute. About the author: David Jack is CEO of Social Impact Institute. He brings more than 20 years of C-level executive experience to his current role. 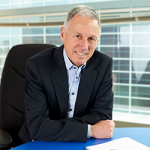 He has served as CEO at Cystic Fibrosis Australia and the Muscular Dystrophy Foundation, where he led both organisations through periods of significant growth and change. Prior to that he was CEO at ADRA, a faith-based international development agency.